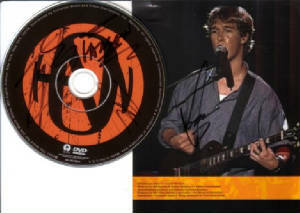 Jessica donated this autographed copy of Hanson at The Fillmore. Taylor and Zac signed the DVD and Isaac signed his picture on the insert. Recorded live at the Fillmore in Sanfrancisco on June 27th 2000. *Two bonus music videos - "This Time Around" and "If Only"
Running time: approx. 60 mins.